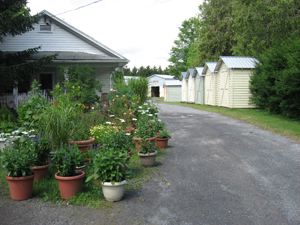 In 1999 we converted an abandoned lumber yard into a storage facility, ending up with a variety of spaces and sizes. 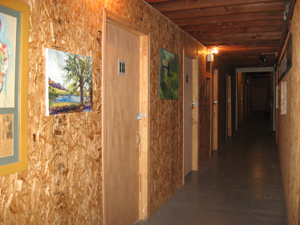 We offer 65 rooms, ranging from 4’x8’ to 12’x22’ – many with a 12’ ceiling height, some with a 14′ height. A self-service counter is available for customer convenience and we are open 8 to 8 – 365 days a year. 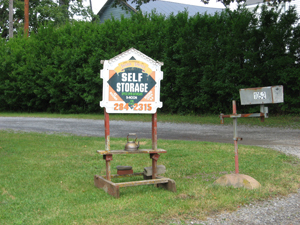 Thank you for considering us for your self storage needs. From Route 20, turn onto the Y in front of the school (Chestnut Street) and go to top of hill. 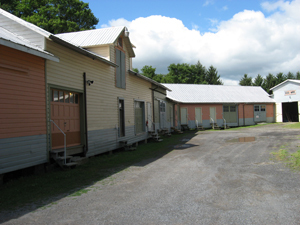 Car wash will be on the left, Eldredge Street is on the right. Go right and our driveway is by the sign on the left.